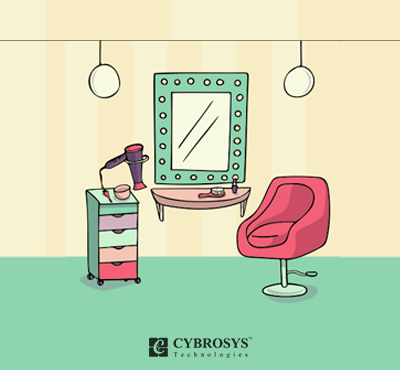 Beauty spa management is an industrial specific module that helps to manage salon/spa booking with advanced features and record automation. 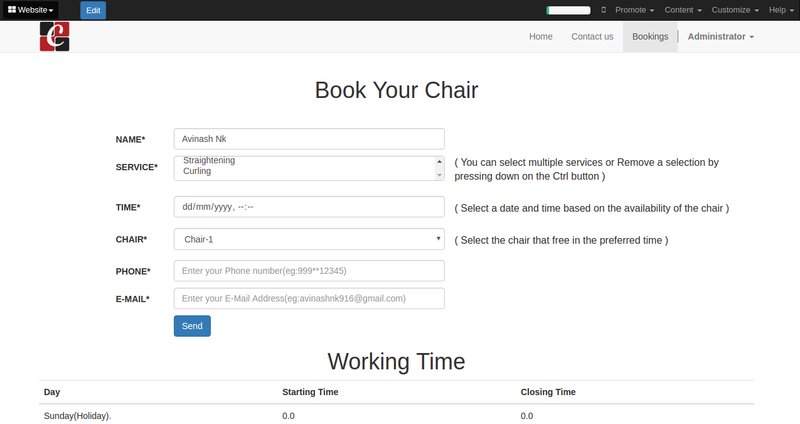 This Salon Booking module provides online booking facility for customers & notification via email. Customer Can view the Available chairs and order details. Different user access levels like Spa User and Administrator. Track booked customer in chair-wise. Create chairs(Salon -> Salon -> Chair). Create services(Salon -> Salon -> Services). Create saloon bookings(Salon -> Salon -> Bookings). All online bookings come under salon bookings.There are 2 options approve/reject booking. Approved bookings become saloon orders.In both cases, the booking information is sent to the customer email address. 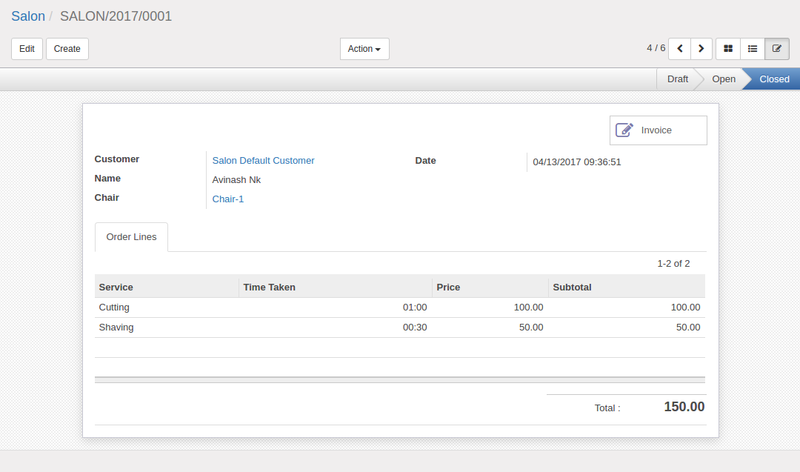 Create saloon orders(from Salon -> Salon -> Salon Orders). 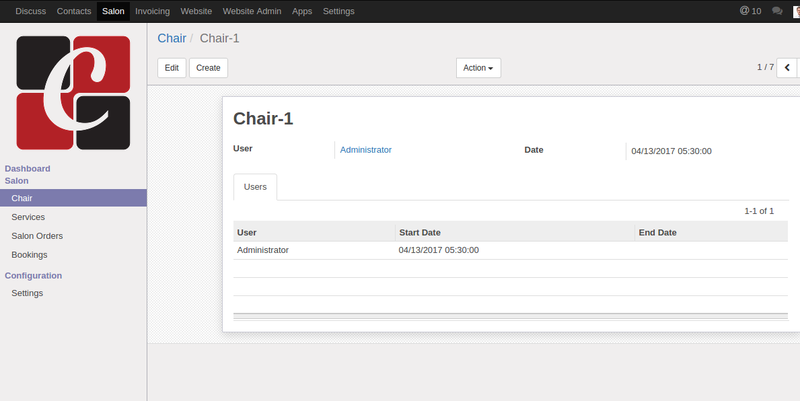 Assign chairs for online booking(Salon -> Configuration -> Settings ).